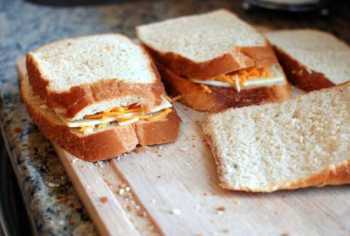 This is Not My Recipe, although I wish I had created it! I found this on a site called NetBugle.com that found it on a site called Elite Daily. I tried this out and it is truley a wonderful experience! Allow me to introduce you to the heavenly Grilled Cheese Taco. 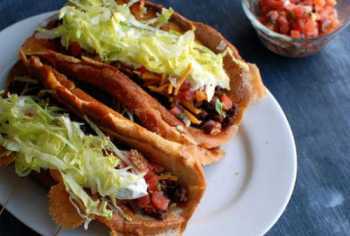 Created by cooking blog The Food in My Beard, this bad boy kicks the boring old tortilla shells to the curb and instead opts for a taco shell made out of GRILLED CHEESE. Yep, this bougie snack is basically like the love child between two of the greatest cheesy snacks known to mankind, and needless to say, it looks absolutely delicious. If you’re looking to get your hands on this mouthwatering Grilled Cheese Taco mashup, you’ll be glad to know you can make it at home since The Food in My Beard was nice enough to share its recipe and break the whole cooking process down into a few easy-to-follow steps. 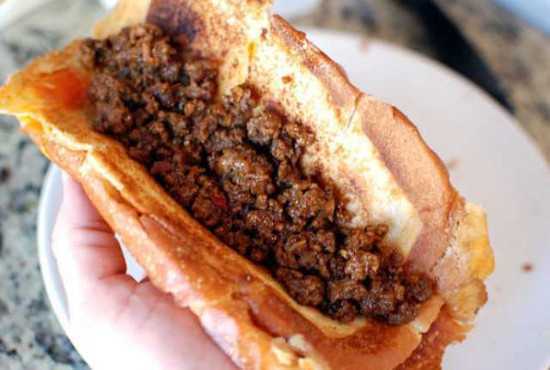 Check out the pictures below to see this amazing Frankenfood creation. …and they might just be the tastiest-looking snacks of all time. 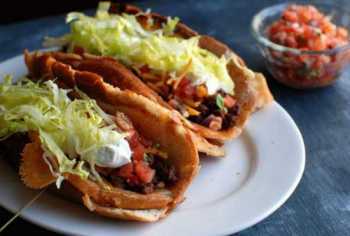 To make these bad boys, you’ll need a loaf of Italian bread, cheese, butter, some taco-seasoned beef and all your favorite taco fixings. —– First, cook the meat according to the blog’s recipe. 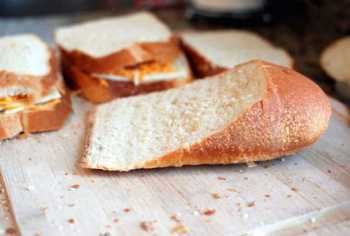 Then, get started on your grilled cheese shells by cutting up your Italian bread on a long diagonal and making sure each slice is cut at an angle.angle. Assemble your grilled cheeses using slightly smaller slices of bread on top. 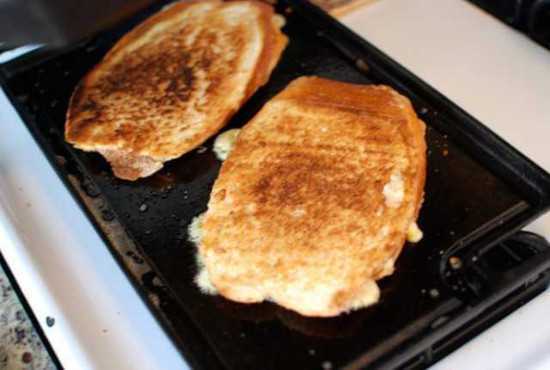 Throw some butter in a pan, and grill these babies to golden perfection, making sure you press down on them while cooking to make each sandwich as thin as possible. 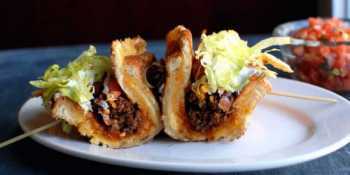 Fold your delectable grilled cheese sandwiches into the perfect taco-shell shape and add beef to each one. …and any other taco toppings your hungry heart desires, and you’re good to go! 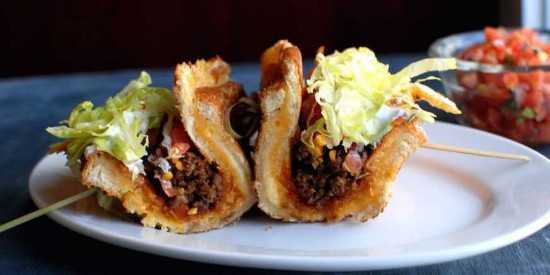 You now have some seriously badass Grilled Cheese Tacos just waiting to be devoured.